Please note: our Base Pins are meant to be used with our Slip-Fit Upright pipes. The outside diameter of this Base Pin is slightly less than 1.5 inches so that it fits inside of the 1.5 inch Upright pipes that we offer. We cannot guarantee that this pin will be compatible with other materials, or pipes that are otherwise not marketed as being used for pipe and drape displays. All of our bases include a base pin. This item is intended to be used as a replacement for lost base pins, or as an upgrade from our 3 inch tall pin (for more stability). 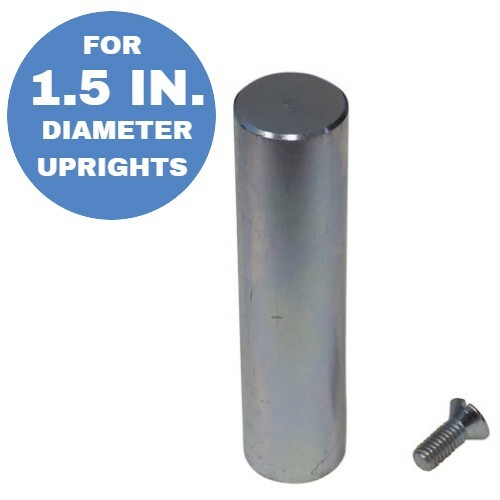 6 inch tall (approximate) base pin for use with 1.5 inch diameter Uprights. Note: these will NOT work with 2 inch diameter Uprights. Recommended, though not required, for Uprights that are 10+ feet tall. 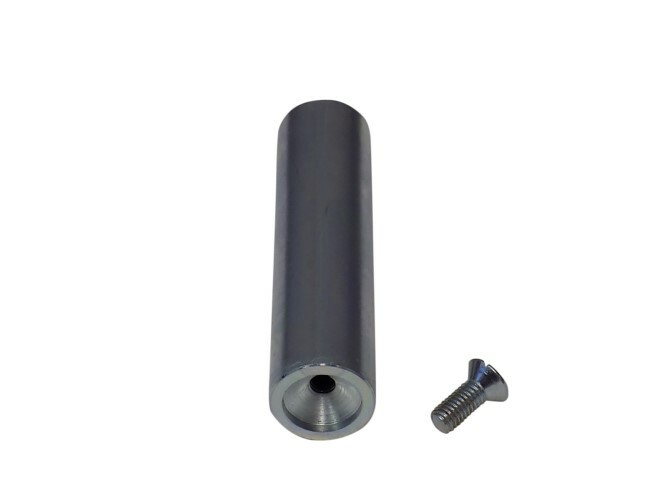 This base pin is designed to work with standard pipe and drape aluminum upright pipes that have a 1.5 inch outside diameter. We do not guarantee that our pins will work with other materials that we don't offer, such as plastic pipes. This is for the base pin only. Base sold separately. Weight (Approximate): 2 lbs. 5 oz.